This Will Help You Better Understand Both Yours and Our Expectations and Requirements. By using either or both the TheBostonDirectory.com web site (“Service”) and/or Boston Local mobile website and mobile app (“Service”), and/or any additional services of TheBostonDirectory.com. (“TheBostonDirectory.com”, “Boston Local”, TheBostonDirectory.com (“Company”), you are agreeing to be bound by the following terms and conditions (“Terms of Service”). TheBostonDirectory.com (“Company”) reserves the right to update and change the Terms of Service from time to time without notice. Any new features that augment or enhance the current Service, including the release of new tools and resources, shall be subject to the Terms of Service. Continued use of the Service after any such changes shall constitute your consent to such changes. 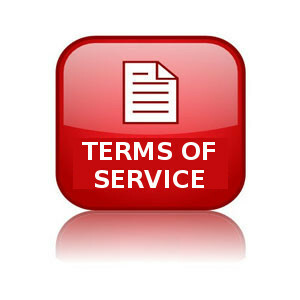 You can review the most current version of the Terms of Service at any time HERE. Violation of any of the terms below will result in the termination of your Account. While TheBostonDirectory.com (“Company”) prohibits such conduct and Content on the Service, you understand and agree that TheBostonDirectory.com (“Company”) cannot be responsible for the Content posted on the Service and you nonetheless may be exposed to such materials. You agree to use the Service at your own risk. You must be 18 years or older to establish an account on this Service. Your business must be a legal business or organization physically located within the City of Boston, Massachusetts. Mailbox addresses, sub-leased and/or borrowed space or may not provide sufficient vetting as a Boston Business for the purpose of this service. The word ‘Boston’ as part of the company name, tagline, moniker or the like may not provide sufficient vetting as a Boston business for the purposes of this service. Your business and/or organization must be successfully vetted, approved and designation as a Qualified Boston Business is required in order to utilize this service. The successful vetting, approval and designation of a business and/or organization as a Qualified Boston Business is based exclusively on our internal decision and at our sole and exclusive discretion. The successful vetting, approval and designation of a business and/or organization as a Qualified Boston Business may reoccur at any time before and/or after such designation. You must provide your legal full name, a valid email address, valid contact phone number and any other information requested in order to complete the signup process. You must opt-in to both sms texting services and e-mail marketing services designated exclusively for Boston merchant and Boston service provider subscribers as the primary source of communication and notification services of TheBostonDirectory.com (“Company”) to its subscribers/clients. You agree that you have knowingly “opt-in” to these services and further agree to remain “opt-in” to these services for the duration of your account activation and use. You are responsible for ensuring that any and all graphics, text, accesses, links or any other content contained within or as part of your merchant page(s), in-store sales ad(s), e-Loyalty Cards, e-Coupons, QR Coupons and/or events are either owned by you or your business or that either you or your business possesses legal and contractual right to use in The Boston Directory (Boston Local). TheBostonDirectory.com (“Company”) cannot and will not be liable for any loss, damage or legal liability from your failure to comply with this security obligation. You are responsible for all Content posted and activity that occurs via, under and/or within your page(s), ads, coupons, or any other digital asset that you and/or your business may possess within any TheBostonDirectory.com website, Boston Local mobile website and/or Boston Local app (even when Content is posted by TheBostonDirectory.com (“Company”), its owners, officers, employees, agents, representatives, contractors, service providers, and others). You are solely responsible for properly canceling your account. Account cancellation requests must be submitted in writing HERE. Cancellations by phone or sent to any other email address will not be considered valid. Standard-rate accounts may terminate (cancel) at any time. Introductory-rate accounts may terminate (cancel) after the first 3-month period. All other accounts created may terminate (cancel) after the first 12-month period, unless otherwise specified as a condition or specification of the account. Account packages (i.e. combos) are considered single accounts and therefore not subject to cancellation/termination of selected ‘elements’ of the account package. Account packages may terminate after the first 24 months unless otherwise specified as a condition or specification of the account package. Re-activation of a formerly terminated/cancelled account is considered a new account. All of your Content will be deleted from the Service upon cancellation. This information may not be recovered once your account is cancelled. TheBostonDirectory.com (“Company”), in its sole discretion, has the right to deny any person, business and/or organization an account or access, suspend or terminate such account and/or refuse any and all current or future use of the Service, or any other access or services, for any reason at any time. Such termination of the Service will result in the deactivation or deletion of your Account and/or any process or service relative to your account, or your access to your Account and/or any process or service relative to your account, and the forfeiture and relinquishment of all Content in and/or relative to your Account. TheBostonDirectory.com (“Company”) reserves the right to refuse service to anyone for any reason at any time. TheBostonDirectory.com (“Company”) reserves the right at any time and from time to time to modify or discontinue, temporarily or permanently, the Service (or any part thereof) with or without notice. TheBostonDirectory.com (“Company”) shall not be liable to you or to any third party for any modification, price change, suspension or discontinuance of the Service. From time to time, TheBostonDirectory.com (“Company”) may issue an update to the TheBostonDirectory.com web site (“Service”) and/or Boston Local mobile website and mobile app (“Service”) which may add, modify, and/or remove features from the application. These updates may be pushed out automatically with little or no notice, although TheBostonDirectory.com (“Company”) will do everything in its power to notify you in advance of an upcoming update, including details on what the update includes. We claim no intellectual property rights over the material you provide to the Service. Your profile and materials uploaded remain yours. However, by using the TheBostonDirectory.com web site (“Service”) and/or Boston Local mobile website and mobile app (“Service”) in any capacity and for any purpose, including the creation, hosting, maintenance and/or management of your website, mobile website and/or mobile application (app), you agree to allow others to view, share and interact with your Content. TheBostonDirectory.com (“Company”) does not pre-screen Content, but TheBostonDirectory.com (“Company”) and its designee have the right (but not the obligation) in their sole discretion to refuse or remove any Content that is available via the Service. The look and feel of the Service is copyright 2012 TheBostonDirectory.com (“Company”). All rights reserved. You may not duplicate, copy, or reuse any portion of the HTML/CSS or visual design elements without express written permission from TheBostonDirectory.com (“Company”). Both TheBostonDirectory.com (“Company”) logo and the Boston Local logo are copyrighted works and may not be duplicated, copied, used or reused, in part or in whole, without the express written permission of TheBostonDirectory.com (“Company”) Chief Executive Officer or her/his authorized designee. Technical support is only available via email HERE. You understand that TheBostonDirectory.com (“Company”) uses third party vendors and hosting partners to provide the necessary hardware, software, networking, storage, and related technology required to run the Service. You must not modify, adapt or hack the Service, create or modify another website, mobile website or app (application) so as to falsely imply that it is associated with the Service, or any other TheBostonDirectory.com (“Company”) service. You agree not to reproduce, duplicate, copy, sell, resell or exploit any portion of the Service, use of the Service, or access to the Service without the express written permission by TheBostonDirectory.com (“Company”). Verbal, physical, written or other abuse (including threats of abuse or retribution) of any TheBostonDirectory.com (“Company”) customer, employee, member, or officer will result in immediate account termination. TheBostonDirectory.com (“Company”) does not warrant that (i) the service will meet your specific requirements, (ii) the service will be uninterrupted, timely, secure, or error-free, (iii) the results that may be obtained from the use of the service will be accurate or reliable, (iv) the quality of any products, services, information, or other material purchased or obtained by you through the service will meet your expectations, and (v) any errors in the Service will be corrected. You expressly understand and agree that TheBostonDirectory.com (“Company”) shall not be liable for any direct, indirect, incidental, special, consequential or exemplary damages, including but not limited to, damages for loss of profits, goodwill, use, data or other intangible losses (even if TheBostonDirectory.com (“Company”) has been advised of the possibility of such damages), resulting from: (i) the use or the inability to use the service; (ii) the cost of procurement of substitute goods and services resulting from any goods, data, information or services purchased or obtained or messages received or transactions entered into through or from the service; (iii) unauthorized access to or alteration of your transmissions or data; (iv) statements or conduct of any third party on the service; (v) or any other matter relating to the service. The failure of TheBostonDirectory.com or The Boston Directory (“Company”) to exercise or enforce any right or provision of the Terms of Service shall not constitute a waiver of such right or provision. The Terms of Service constitutes the entire agreement between you and TheBostonDirectory.com (“Company”) and govern your use of the Service, superseding any prior agreements between you and TheBostonDirectory.com (“Company”) (including, but not limited to, any prior versions of the Terms of Service). In no event shall TheBostonDirectory.com (“Company”) liability to you exceed the service fee amount actually paid to TheBostonDirectory.com (“Company”) by you during the preceding 3 months.